I’d love to open up Kanye West’s wardrobe. Not for his sneaker collaborations or for his pioneering leather jogger pants, but because he’s got a serious collection of kimono wrap shirt-slash-jackets. And while at first I ignored it as a passing fad, he’s been getting out in them since 2013 and now… I need one. 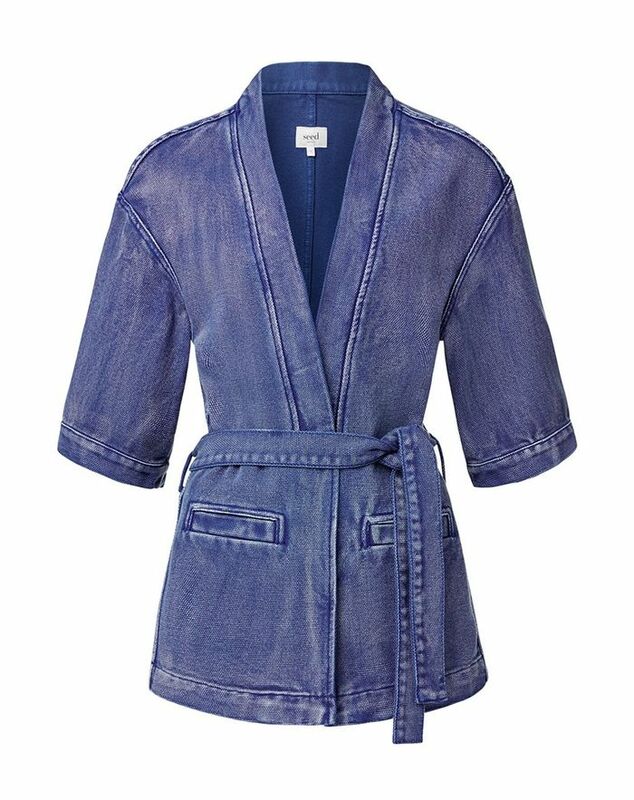 It’s not quite a shirt, not quite a jacket, but the versatility is something I need in my life. While we’re transitioning into warmer weather, I’m imagining going tonal like Yeezy and throwing a lightweight beige linen kimono jacket over white wide-leg pants and a silk cami. For after hours, I need a black version to wear with cage heels and a leather dress. Kanye’s Haider Ackermann version is currently sold out (I know because I’ve basically visited every website on the Internet to find one). But if like me you feel like your style is closer to ‘Ye than Kim and can’t wait for a re-stock, you’re in luck with these similar (and wallet friendly!) alternatives. 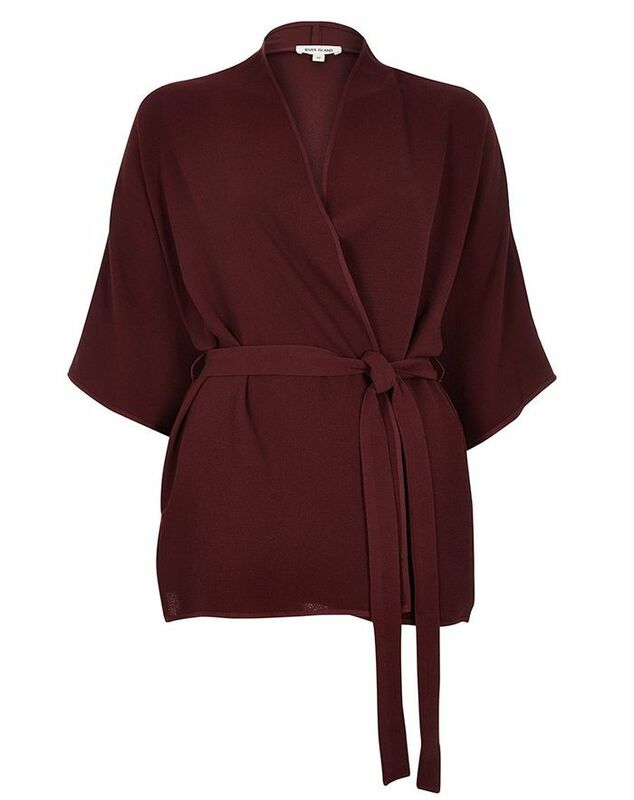 Keep scrolling to see how some of the best-dressed ladies are wearing the wrap jacket and where you can buy one to get the look. 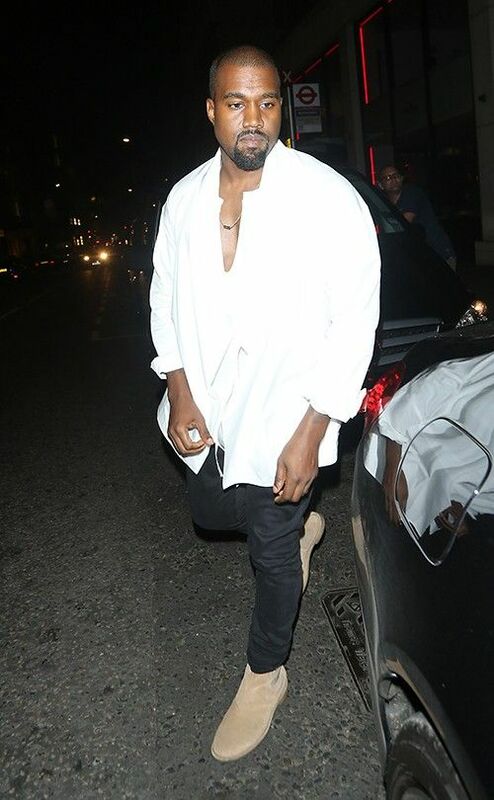 Do you think Kanye is on his way to being a style icon? Let us know in the comments below!